We’d be delighted to hear from you, so don’t hesitate to get in touch! Depending on your question or comment, we might put you in touch with a Comhaltas community member who specialises in a particular region, instrument or programme. 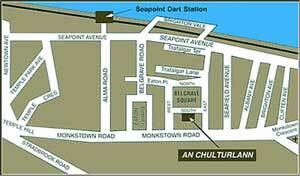 Visit the Cultúrlann page for more about our headquarters in Monkstown, Co. Dublin. For information about the SCT Irish Music Exams and their administration, please contact us via email at sct@comhaltas.ie.